Qiagen and NeoGenomics said they will partner to accelerate development and commercialization of companion diagnostics designed to enable precision cancer treatments, through a collaboration whose value was not disclosed. The companies have signed a master services agreement designed to ensure immediate availability of Qiagen companion diagnostics during clinical trials—as well as to support synchronized launches of the drugs and their diagnostics upon approval of new oncology treatments by the FDA. The agreement provides what Qiagen and Neogenomics said was a flexible framework with multiple options for co-development, verification, setup, and launch of new companion diagnostics—including next-generation sequencing tests—for biomarker profiling paired with new targeted drugs. “The companion diagnostic services can be provided by NeoGenomics once FDA approval has been obtained, facilitating the rapid adoption of innovative targeted therapies which can deliver meaningful benefits to patients,” Qiagen CEO Peer Schatz said in a statement. Qiagen said the collaboration reflected the increasing important for its pharmaceutical partners of aligning commercial and launch readiness for companion diagnostics at the time of drug approval. The companies also cited the FDA’s ongoing effort to facilitate co-development of drugs and diagnostics in cancer trials. In April, the agency issued a draft guidance, Investigational In Vitro Diagnostics in Oncology Trials: Streamlined Submission Process for Study Risk Determination, that laid out an optional streamlined submission process for sponsors of oncology drug trials involving a companion diagnostic. The draft guidance is designed to determine whether use of an investigational in vitro diagnostic (IVD) in a trial of investigational cancer drug or biological products is considered significant risk, non-significant risk, or exempt from further pre-market review. The draft guidance outlines circumstances under which sponsors may be able to include information about an investigational IVD in the Investigational New Drug (IND) application submissions to the FDA center responsible for the therapeutic product under review, either the Center for Drug Evaluation and Research (CDER) or Center for Biologics Evaluation and Research (CBER). Pre-market information related to the investigational drug and the investigational IVD would be included in a single IND application—a measure designed to reduce administrative red tape for companies and the agency. “Our collaboration with QIAGEN will ensure that patients have access to the most advanced companion diagnostics to target new cancer medicines, as soon as those medicines are approved,” added Douglas M. VanOort, Chairman and CEO of NeoGenomics. 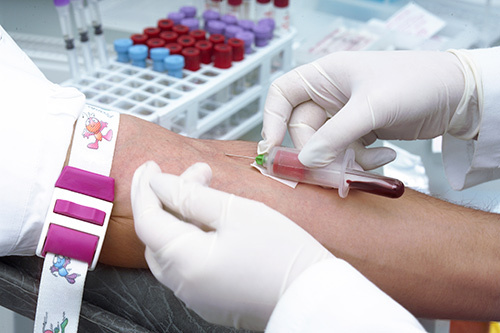 NeoGenomics is a provider of cancer-focused genetic testing services. Headquartered in Fort Myers, FL, NeoGenomics operates CLIA-certified laboratories in Aliso Viejo and Fresno, CA; Tampa and Fort Myers, Florida; Houston, TX; Nashville, TN, and Rolle, Switzerland. Qiagen employed about 4,900 people in over 35 locations worldwide as of September 30. Qiagen and NeoGenomics said they will promote their companion diagnostic partnership at the American Society of Hematology (ASH) 2018 Annual Meeting and Exposition, being held through tomorrow in San Diego.